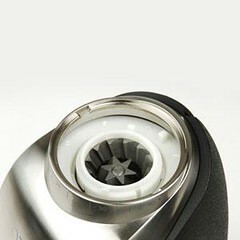 I have been searching for several months for the perfect grinder for the home user and the search is over. These grinders have had a complete retooling from the internals up, and the company’s commitment to grinder quality and level of service make them a perfect offering for our coffee and espresso loving customers. 40 mm conical burrs, tooled in Germany. Beans anxiously awaiting their fate. Complete details in a few days. 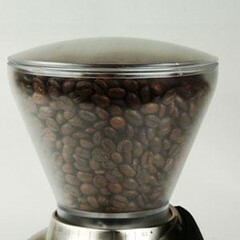 Also: Exceptional ‘pro-sumer’ gear for the espresso enthusiast and coffeeGeek is in the works.